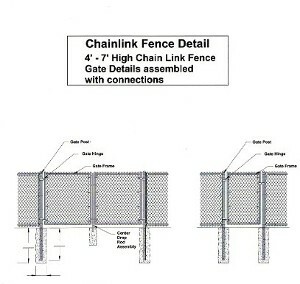 Download a copy of the diagrams below for your use to help identify the parts needed for a chain link fence installation. 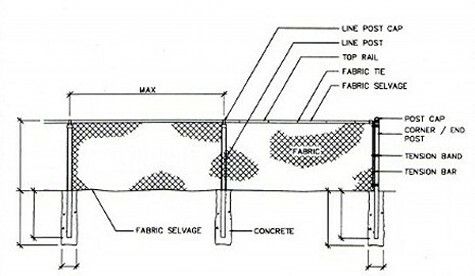 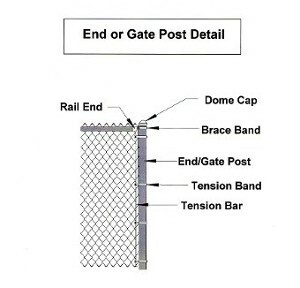 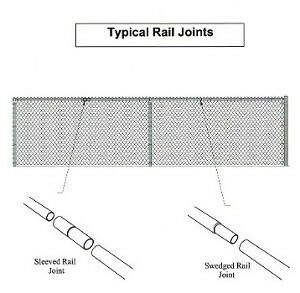 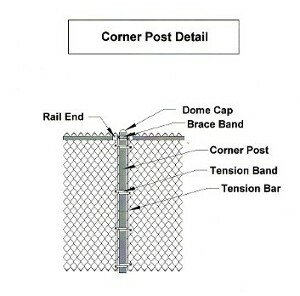 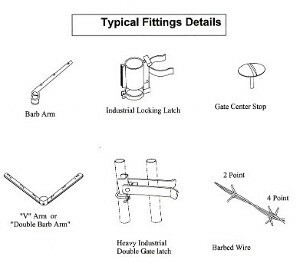 The most common residential chain link fence fittings are depicted but many others are available. 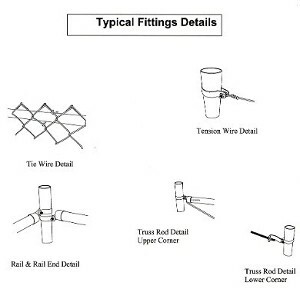 If you’re unsure about sizes, quantities or what works best for an easy installation, you may choose to email us a quick sketch of your project and we’ll put together a material list for you at no charge.